In a world that is increasingly connected (cell phones, email, texting, social media, twitter, etc. 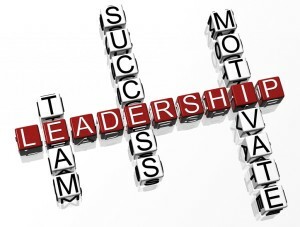 ), leadership and relationships are the key ingredients to a successful organization. As we go into the new year, I believe that both are more important than ever in keeping your team engaged and motivated. There are a few common traits that successful leaders share which are applicable to our industry. 1. Strengths Based. If you can identify your team members' strengths and develop them in an area where they are able to showcase their strengths, this will allow you to keep your team happier, more productive and reduce turnover. For example, I have had housekeepers who were very reliable and had great character, but even after significant training, they were not able to timely clean their rooms. I discovered that often times the reason for this was that they were doing much more of a deep clean on their assigned rooms. As such, reassigning these same housekeepers to room inspections and/or room detail/deep cleaning often times resulted in improved productivity and a happier team member. As a deep cleaner, they were assigned fewer rooms and time was less of a concern. The bigger focus in working in such a capacity was a thorough deep clean of the room, which catered to that individual's strengths. Similarly, a person who is struggling in housekeeping may be a better fit at the front desk, or a front desk person may have a personality that would make a better fit in housekeeping. Simply stated, take the time to understand your team's diverse talents and try to place your team members in areas where they can most showcase their strengths. 2. Role Model. If you say you are going to do something, then make sure you do it. Your team watches you and hears you more so than you realize. You are their "leader" and leadership is one of the few things in life that is earned every day; day in and day out. It cannot be inherited or gifted. It must be earned. Accept and embrace your role and model the behaviors and values you expect from your team. 3. Risks. In our business, the word risk is usually associated with the financial investments we make in our businesses with no guarantee of a return. I believe we need to expand our definition of risks and include those involved in investing in people. By nature, taking risks means that you will sometimes lose. It also means investing in your people without a guarantee of a return; however, when you do take intelligent risks on people and achieve success, your return will far outweigh your investment. 4. Showing care and Inspiring hope. We are in a business that is very people centric. Our team members impact our success. Be the type of leader that shows care. This can be done by showing interest in your team and/or giving a simple thank you for a job well done. In this same vein, you need to provide hope for a better tomorrow for those team members who want to improve their lot in life. The hospitality industry is known for taking so many entry level people and over time, turning them into leaders. Share your organization's people success stories with their fellow team members so your team knows that if they buy-in to your organization's culture, they have hope for a better tomorrow. With continued improvement in the economic and industry outlooks, I am hopeful that all of us will see continued improvement in our revenues and bottom lines for 2015. It has been and continues to be my privilege to play a leadership role in our owners' association. Cheers and Warm wishes for a Happy Holiday Season and a Healthy and Prosperous 2015.